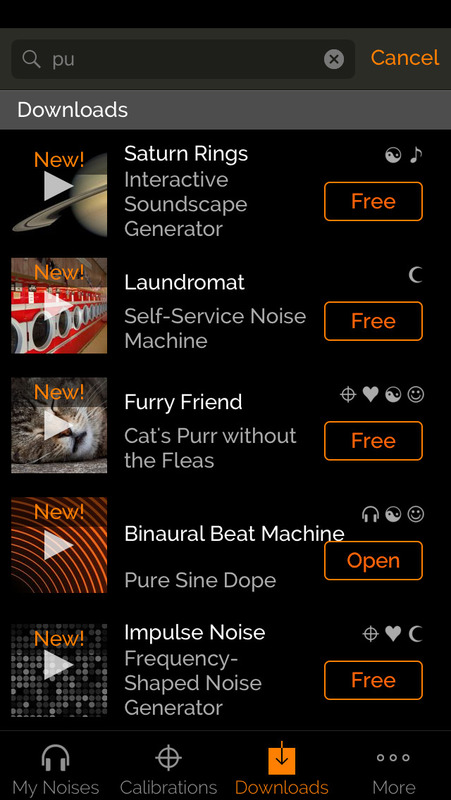 myNoise now free, with White Noise, Rain Noise, Binaural Beats, Spring Walk, and Temple Bells! ‣ "Of all the ambient noise apps I’ve tried, myNoise is the best. It never repeats, it has top-notch sounds, and it is just plain fun to use." - Cult Of Mac. ‣ "We've covered many online noise generators in the past, but MyNoise is different: it calibrates background noise based on your hearing range and listening devices." - Lifehacker. Welcome to the convergence of serious audio engineering, creative sound design, and the scientific understanding of human hearing. The App you are about to download is not just another of those soundscape App but a serious tool oriented toward the needs of hearing professionals, sound therapists, and people interested in noise machines in general. myNoise offers a unique collection of noise generators shaped to your personal hearing thresholds. Through a simple but accurate calibration process, our calibrated noise generators are not only matched to your own hearing, but also compensate for your audio equipment and listening environment deficiencies, including the presence of background noise and its nature. Noise machines are great for blocking out background noises whether you're trying to work, study, relax, or even sleep. Compared to conventional noise blocking machines, our noise generators can be shaped to the frequency characteristics of the environmental noise one needs to block, and therefore achieve a better camouflage, or - in other words - a greater masking efficiency at quieter levels. Listening to our noise generators in a quiet environment makes sense too, and is even recommended to enjoy their optimal sound quality. Let our noise generators become your best friend when it comes to soothing babies at bedtime, or during your meditation and relaxation sessions. myNoise generators cover the whole audible frequency range, from 20 Hz to 20 kHz, over 10 color-coded octaves. 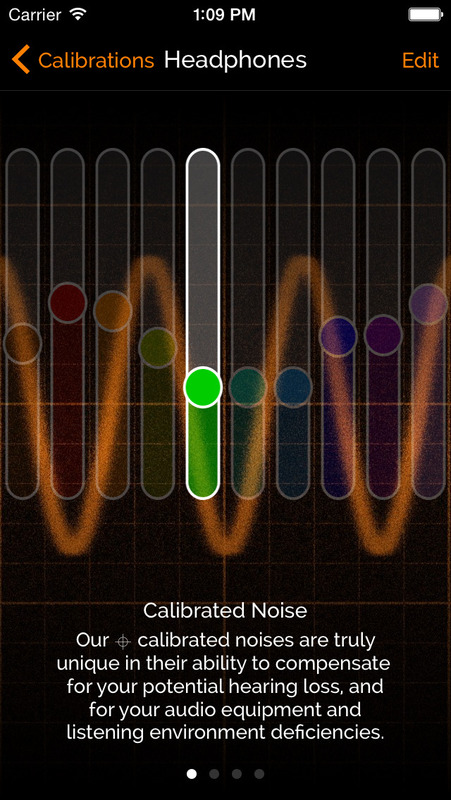 Thanks to our unique calibration procedure, each noise scape can be made spectrally flat to your ears. As we get older, we all suffer from age-related hearing loss involving the higher tones. During our calibration process, we are able to measure your personal hearing levels, and adapt our noises accordingly. You'll be surprised to hear frequencies you thought were lost forever! - "Toddler Mode" added to the Downloads page.